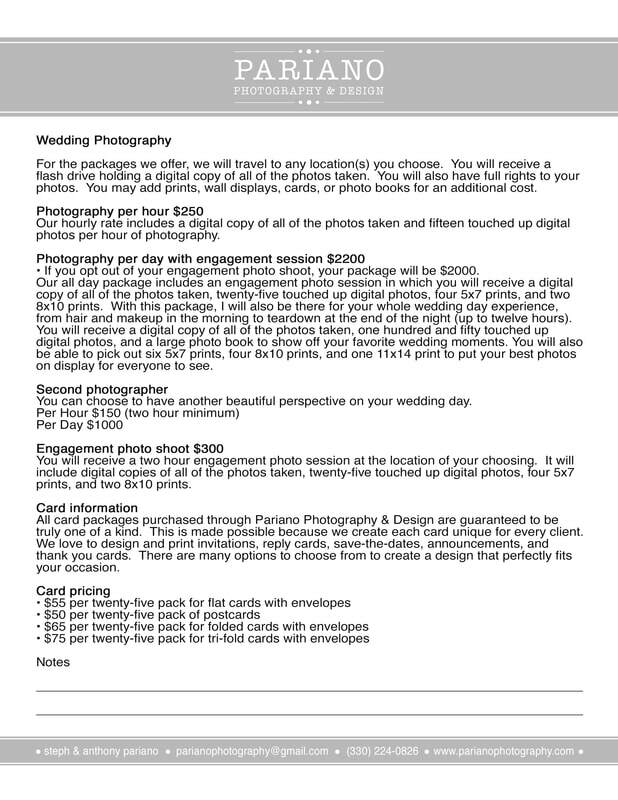 With Pariano Photography & Design, you can feel assured that you'll receive a unique and personal experience that truly captures the atmosphere of your special day. You have a variety of package options that you can choose from and all packages can easily be personalized to fit your needs. All photography packages come with a flash drive that holds the files of all photo taken and they come with a number of digital photos that are touched up with color and exposure correction, blemish removal, and black and white stylizing. 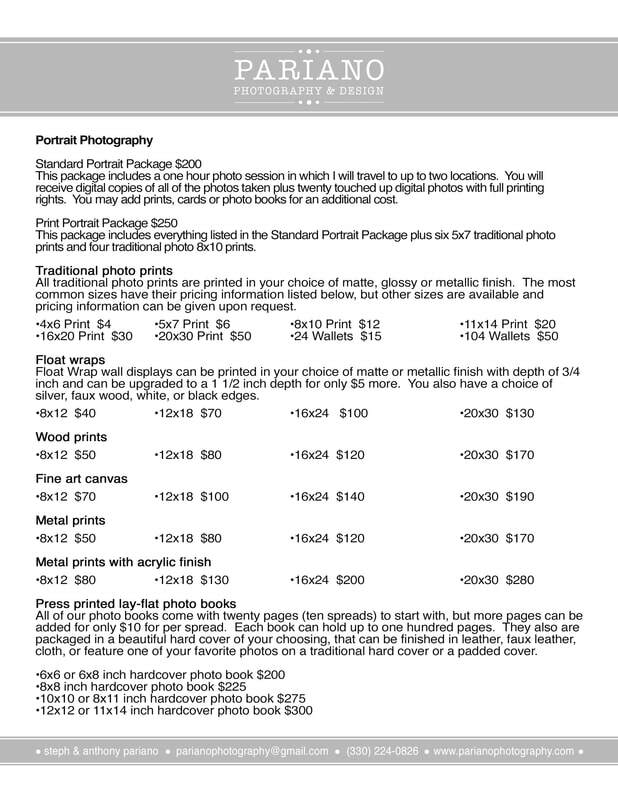 Some of the packages also include prints that can be customized to fit your needs. At Pariano Photography & Design, we also create beautiful one of a kind save-the-dates and invitations for all occasions. We work hard to make cards as unique and original as each special event we work with. 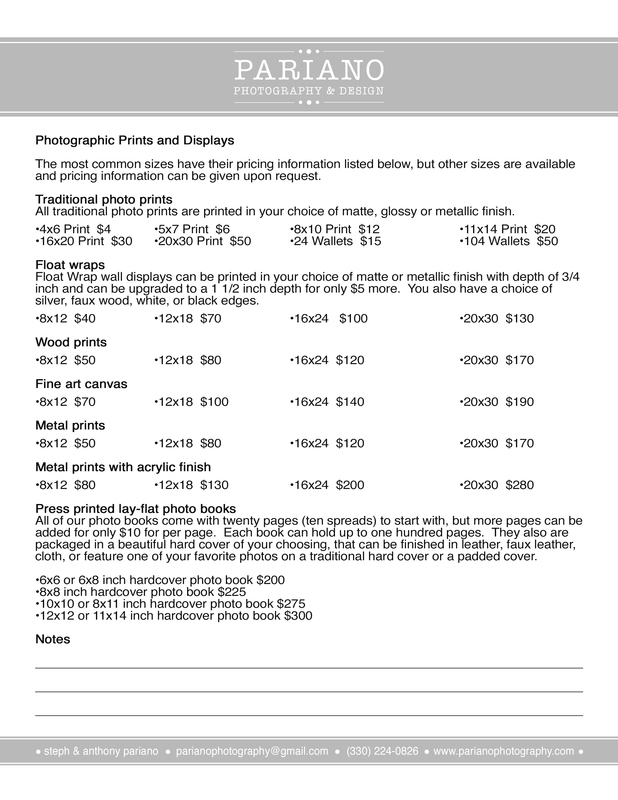 Please click on the thumbnails below to view our pricing information. Feel free to contact us with any questions you may have. We would love to hear from you!